Ergonomics is the science of making common tasks more comfortable. It is big business for companies that design ergonomic products and services, but it can also be big money for businesses that make life easier for their employees. The following strategies and tools can be an excellent way to improve morale, safety, and the profitability of your company. These keyboards are not flat but are curved to give hands more space and better posture. If anyone is going to be typing all day long, than any method that reduces strain can mean less arthritis and ultimately better performance. People type slower whenever hands are sore, and no amount of managerial pressuring can take the place of an ergonomic keyboard that costs as little as $40. Offering your employees group stretching or exercise can greatly improve morale and physical comfort. More than a few offices allow their employees to exercise during breaks. This could be a company gym or a group workout—such as yoga—that lasts as little as ten minutes. Whatever route taken, a little exercise between long periods of sitting is good for the body. It is also refreshing, because sitting can be surprisingly fatiguing. Stretching reduces work related injuries while exercise improves long term health and short term energy. Plastic film fits over a large glass and partially blocks the sunlight. Rays of light are normally of all shapes and sizes, but polarized filters only allow light coming in at a particular angle. This reduces the glare and harsh reflections that can be a headache for workers while not dramatically diminishing the natural lighting. As it turns out, walking on a hard surface all day long can be very hard on feet. This is especially true of concrete, as might be found in a warehouse or factory floor. It is better for high traffic areas to be covered with a plastic mat. Alternatively, provide insoles that cushion feet against the immovable surface. Headphones can reduce head and neck strain, while increasing productivity and comfort. More and more business communication is occurring remotely, not just in the office. Your employees may spend more time on the phone than ever before and that can be taxing on the body. 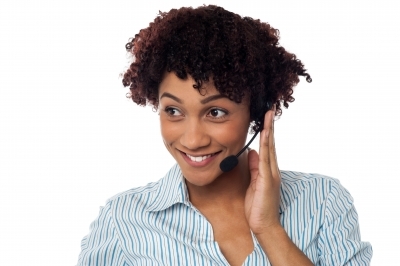 To allow for hands free telecommunication, invest in inexpensive headphones for employees to use during calls. They will reduce neck and shoulder strain as well as increase productivity. Some employers would see fancy keyboards and office exercise sessions as a waste of funds. However, these benefits translate into a more cooperative and productive office and reduce instances of employee injury. If people look forward to coming to work, they will productively do their job with energy and enthusiasm.